All of our instructor courses are taught by Yvonne Press, currently TDI’s only female Instructor Trainer in South East Asia. 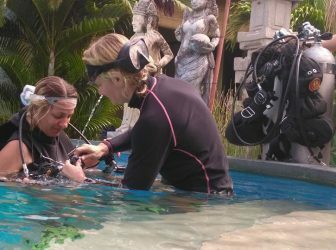 At our Amed, Bali centre we are currently training TDI instructors up to Decompression Procedures level in both twinsets / doubles and Sidemount configuration. You can either take your courses separately – Sidemount, Intro to Tech, Advanced Nitrox, Decompression Procedures and SDI Solo Diver Instructor – or as a package. As an alternative you can complete your TDI instructor training as an internship. To find out more about the individual courses or any course combinations, continue reading below or contact us for TDI instructor level packages. Please note that our instructor level courses do not include TDI application fees or TDI materials, but we can help you acquire them. We recommend you plan more than the minimum amount of time required for the courses to allow for additional skills practice. Diving in Sidemount configuration has grown in popularity exponentially over the past few years.  It’s used both within the technical and recreational diving communities, and it’s here to stay. Becoming an instructor in this area will improve your employability and marketability – and it will open your eyes to the full potential of rigging equipment in this way. Intro to Tech lays the foundations for any technical diver’s development, making it arguable one of the most important courses for any technical diving instructor to teach. Learn how to introduce concepts such as gas management, air consumption, rule of thirds and minimum gas to future tech divers as well as teaching fundamental skills for twinset diving. 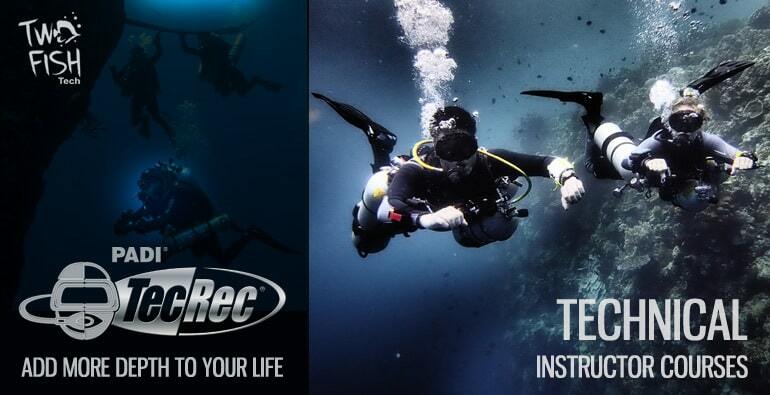 Essential for anyone looking to teach decompression diving courses. The Advanced Nitrox Instructor course allows candidates to train students in the use of nitrox mixes up to 100% O2. Whilst not yet allowing decompression diving, this course, together with the Decompression Procedures Instructor course, will allow future instructors to build students’ foundation knowledge of decompression diving, including oxygen exposure on different levels and, expert-level buoyancy control. Decompression Procedures is TDI’s first level of decompression diving and instructors at this level have an opportunity to truly change their students’ future diving career. Instructor candidates will improve their theoretical knowledge of current decompression algorithms, dive planning and equipment configurations as well as sharpen their demonstration quality dive skills in the water. SDI is currently the only diving certification agency offering a true solo diver course. Not strictly speaking a technical diving course, Solo Diver is aimed at those who frequently find themselves in situations where self reliance is necessary or preferable. Ideal for instructors in areas popular with photographers who generally tend to dive more independently than others or individual liveaboard divers, as well as diving professionals themselves. SDI Solo Diver Instructor is a perfect add-on to TDI Sidemount Instructor qualifications.